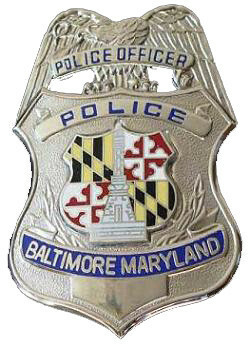 There are few law enforcement agencies in the state that receive as much negative publicity as the Baltimore City Police. Each year there are dozens of complaints filed for excessive use of force or other alleged abuses of authority, and there is a constant stream of officers being suspended or placed on leave with pay while being investigated. Some of these complaints make the news, and some end up in court as lawsuits, but the majority of these cases never reach the public’s eye. Fortunately though, police administration and the mayor’s office do take notice of each of these complaints, and it appears they are both committed to doing something about it. The solution may lie in a technology that is known as body cameras. The idea is simple enough to understand; all on duty officers would be equipped with forward facing video recording devices affixed to their person. But the implementation is not so simple, as there are a host of issues that must be tackled before the program can become a reality. Cost is perhaps the greatest obstacle to overcome before implementing a police body camera program. The cameras would have to produce a clear picture to be effective, but must also be tamper proof and durable to handle the rigors of street police work. A camera that fits these specifications would carry a hefty price tag, especially if each of the roughly 3,000 officers were provided with one. Law enforcement equipment companies already sell these body cameras, and they typically run about $400. This price is not prohibitive, but there would also be costs associated with maintaining the cameras and the data that they record. And the department would likely have to create a special unit to handle FOIA requests for camera footage. Other issues include privacy concerns for bystanders and even crime suspects. Potential problems could arise when a police officer responds to a call for service inside of a home, or when and officer is forced to enter a home due to an exigent circumstance. The issues body cameras present do not appear to be insurmountable, and if the technology is available there is every reason to take advantage of it, as many other police departments across the country have. Taxpayers pay the salaries of the police, so why shouldn’t they be able to effectively monitor their work. The transparency afforded by video recording would promote efficiency and accountability. It would also have the added benefit of protecting officers from false accusations of police brutality and abuse of authority. Video technology is already being widely used in other areas of law enforcement such as dash cams and even Taser cams. The latter is a new technology, which the electric weapon / stun gun company is beginning to employ in some of its new models. The goal is to protect the public from cops with itchy trigger fingers, and to also protect the cops from false accusations by the public. Taser, a company whose value is approaching $1 billion, also sells body cameras and glasses cameras specially made for law enforcement. It comes down to this; those who are playing by the rules have no reason to fear the camera. The Blog will continue to follow the progress of the body camera program in Baltimore City, and in other police jurisdictions around Maryland. We suspect it won’t be long before body cams are the norm, and we welcome this progression. 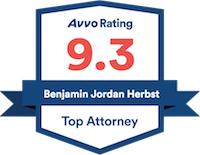 As always, if you have a criminal case you would like to discuss with a defense attorney contact Benjamin Herbst at 410-207-2598 for a free consultation. Mayor Rawlings-Blake, Commissioner Batts Announce Formation of Police Body Camera Working Group, www.baltimorecity.gov.